Serve a special breakfast this weekend by making some fresh, delicious sticky buns. 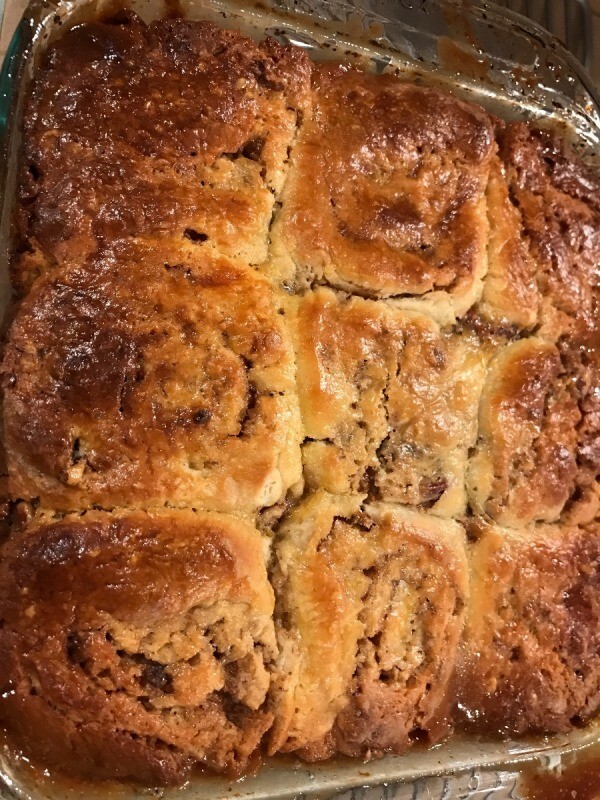 This page contains sticky buns recipes. 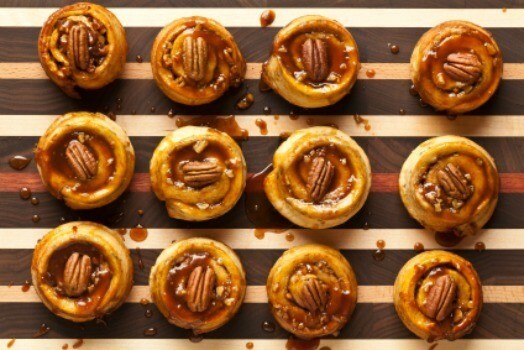 These sticky buns take awhile to make but are totally worth it! 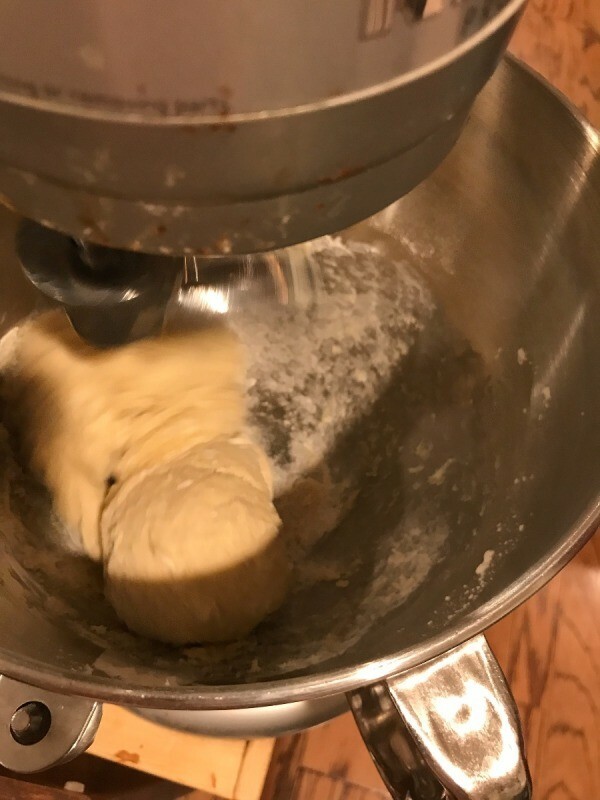 You could make the dough the night before, and it'll be much faster the following day. It's a big hit in our household and there is never any left overs. To make the dough, you can either heat your milk in the microwave or on the stove. 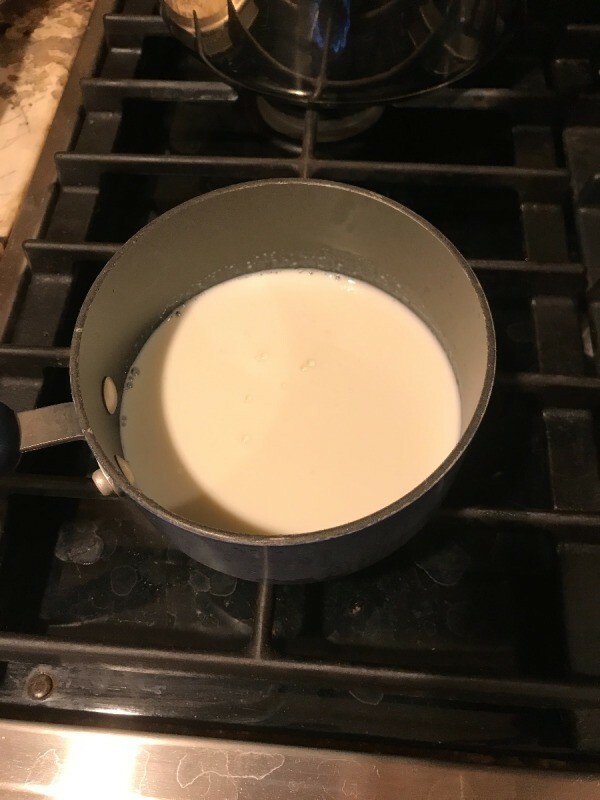 I heated the milk over the stove on medium heat until temperature of the milk was 110 degrees F.
Add 1 3/4 teaspoons yeast and 1 tablespoon sugar in the measuring cup. 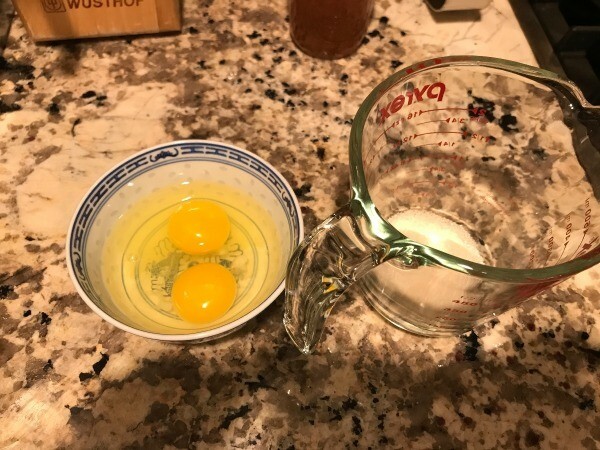 Crack two eggs and put on the side. Pour the warm milk in the measuring cup with yeast and sugar. Whisk. 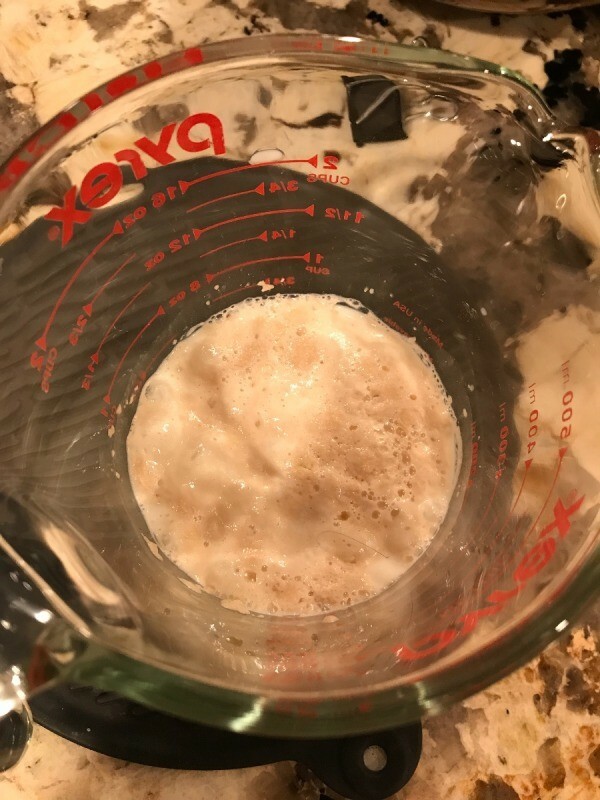 Allow the yeast to foam for about 5 minutes or so. 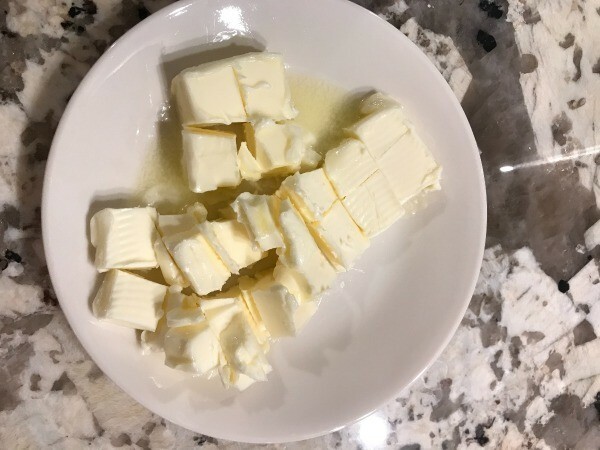 Cut 1/2 cup of unsalted butter into 1 inch pieces. 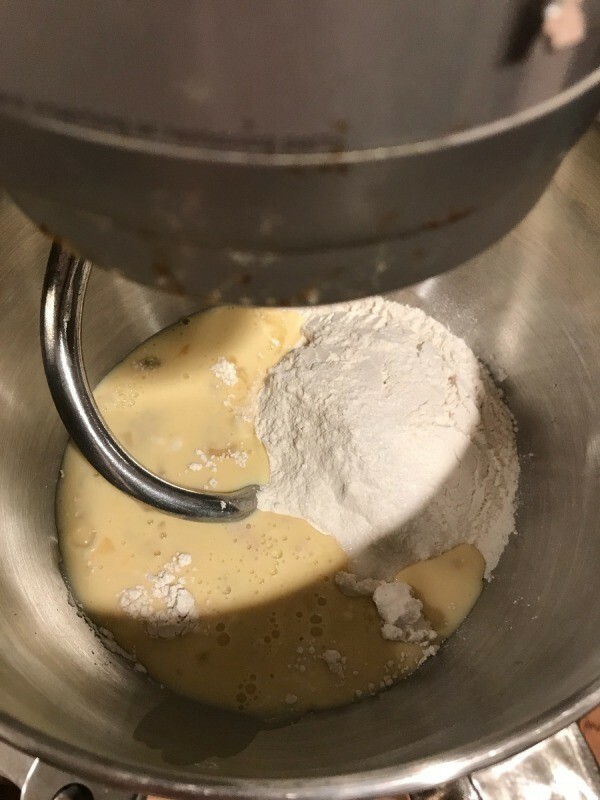 In a mixer bowl using a dough hook, add 2 3/4 cup all purpose flour, 1 teaspoon salt and 4 tablespoons sugar with the combined milk, eggs, yeast, sugar and salt. On medium speed, incorporate butter one piece at a time. Then on knead mode mix until dough is soft for about a total of 7 minutes. Melt a dash of butter, so you can brush the sides of a bowl to place your dough in. 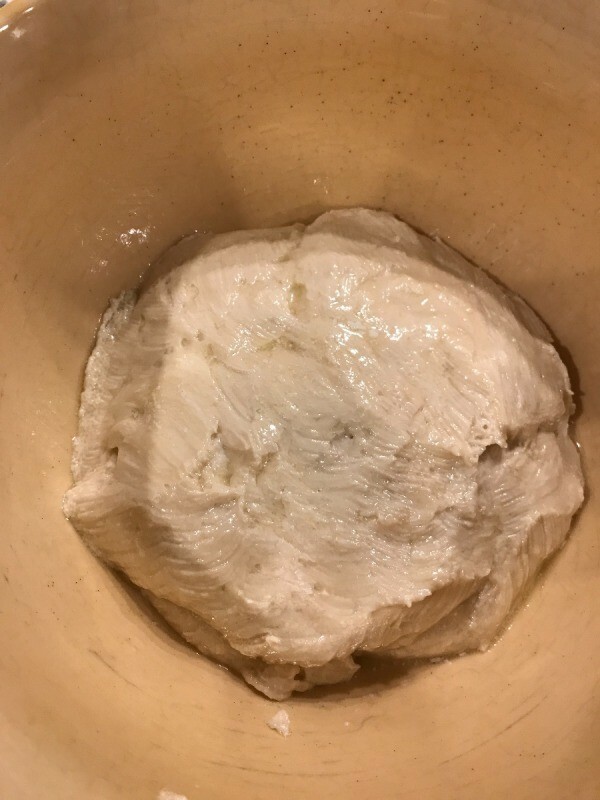 Allow dough to rise for at least a hour. I cover with plastic wrap and allow to rise in the microwave (not turned on/room temperature). 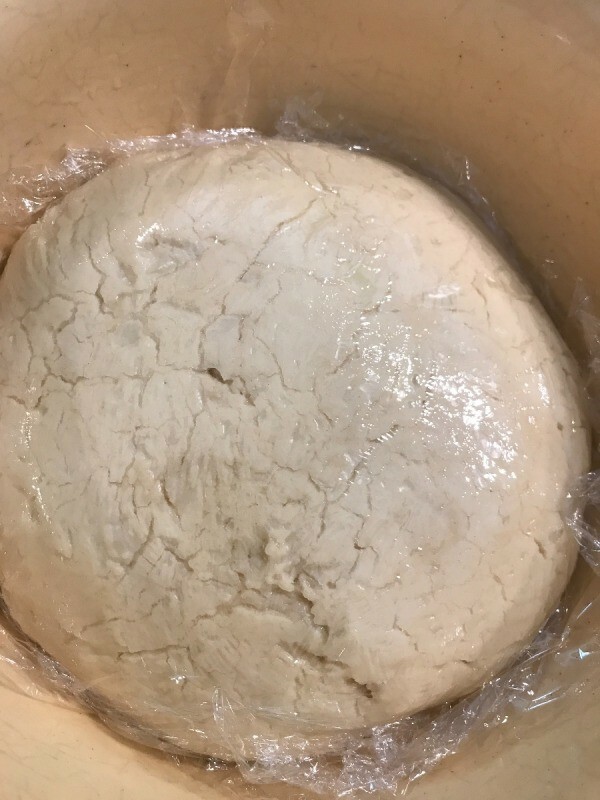 Then allow the dough to chill for 2 hours. 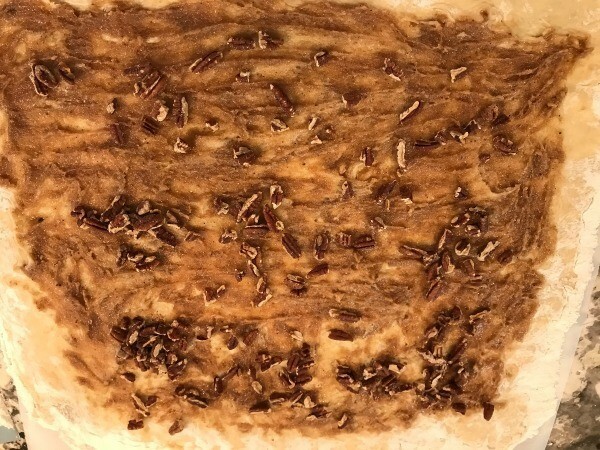 When ready to do your topping, bake raw pecan pieces in the oven for 8-14 minutes. 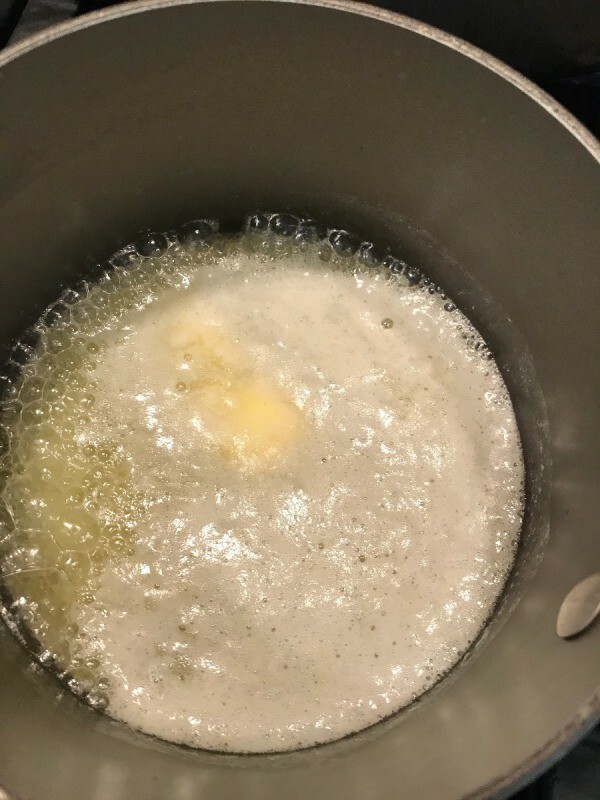 In a small saucepan on medium heat, melt 1/2 cup of butter. Add 1/2 packed cup of brown sugar, 1/3 cup honey, 1 cup whipping cream, and dash of salt. Stir and allow to boil then reduce heat, then simmer until glossy for 3-5 minutes. With the glaze, pour a little to coat the bottom layer and save the remainder aside. Add in some pecans. 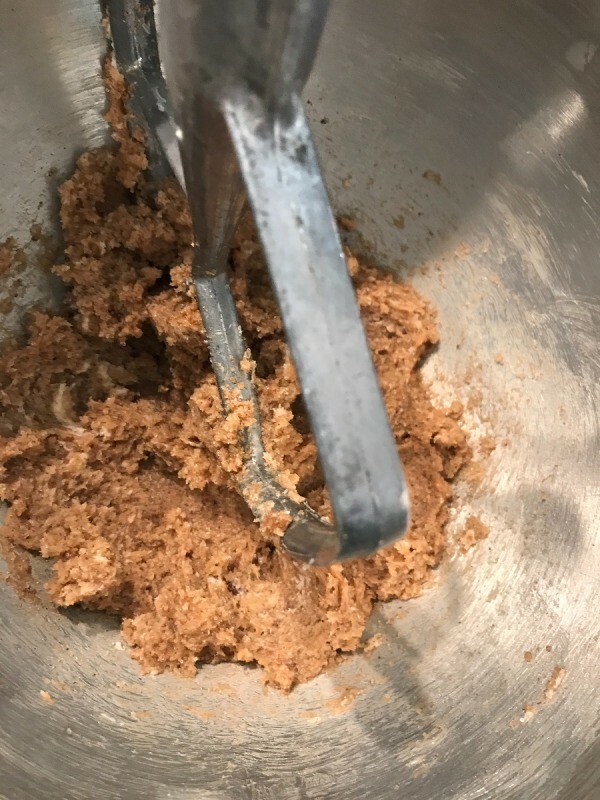 For the bun filling, use the medium speed in mixer. 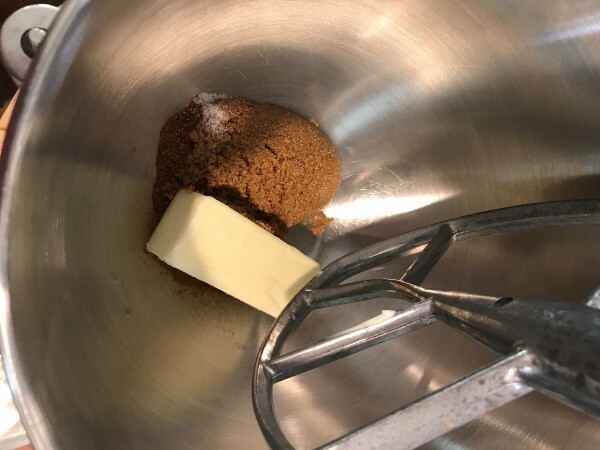 Add 1/2 cup unsalted butter, 1/2 cup packed brown sugar, 3/4 teaspoon ground cinnamon, 1/2 cup ground nutmeg, dash of salt for about 2-3 minutes. 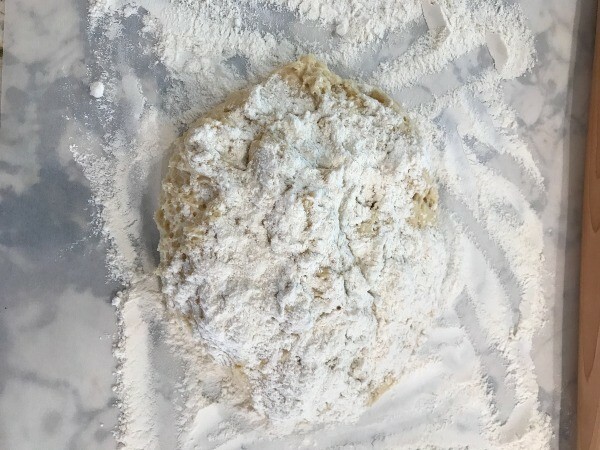 Now that the dough has rise and chilled, sprinkle all purpose flour on your counter so you can roll out a rectangle of 12" by 16" with a 1/4" thickness. With the filling from previous step, spread the mixture leaving 1" inch clear all around. 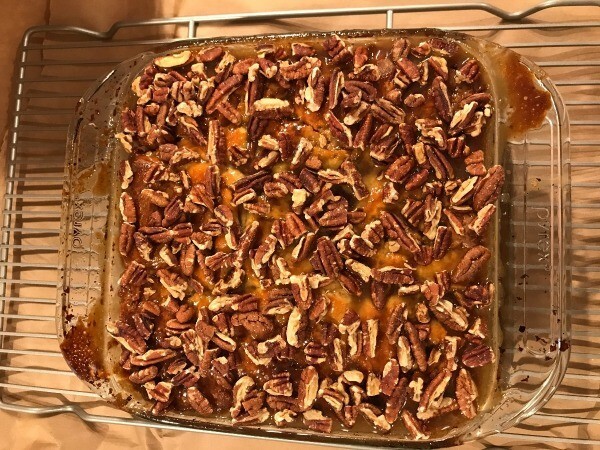 Sprinkle some pecans in. Now time to roll the dough and cut in 9 equal bun pieces. Place the buns in the pan earlier with the glaze. Allow the buns to rise for another 1 hour (see photo difference) then crack one egg in a bowl, and brush egg wash over the buns. Preheat your oven to 350 degrees F. Bake in the center rack and frequently rotate pan. Bake for about 50 minutes. Allow buns to cool, then using the remaining glaze, spread remainder on top with the left over pecans! Allow to cool on wire rack until ready to serve. These are great because they are very soft and gooey. Best eaten when still warm! Preheat oven to 400 degrees F. Cut off 3 tablespoons of butter from a stick. Cut each tablespoon into four even parts. Recipe for Cinnamon Sticky Buns. 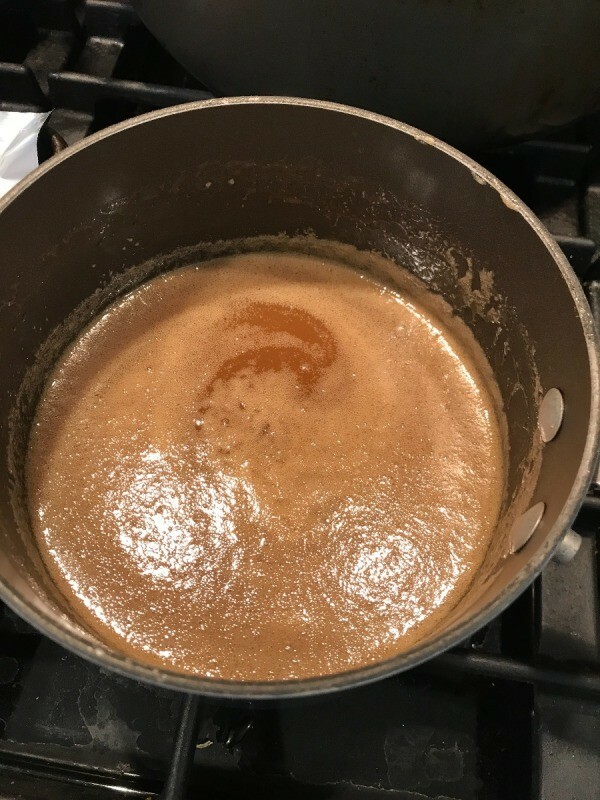 In a saucepan combine brown sugar, corn syrup and butter; cook and stir until sugar is dissolved. Add pecans. Spoon into a greased 9x13 inch pan. . .
Preheat the oven to 425°F. Coat an 8" round baking pan with nonstick spray. 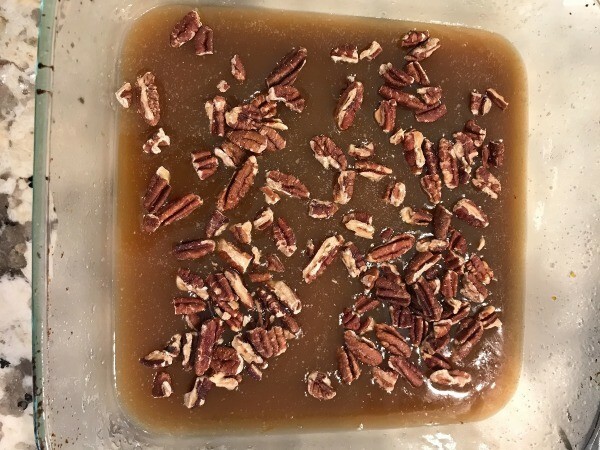 In a small saucepan over low heat, stir 4 tablespoons of the brown sugar, the corn syrup and water until the brown sugar dissolves and the mixture is warm. 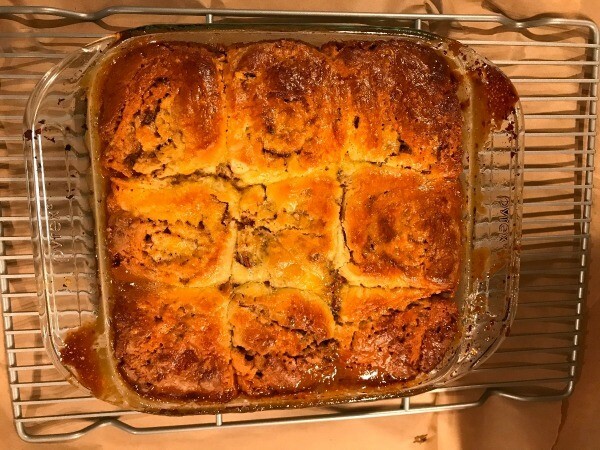 I used to have a recipe years ago for making Sticky Buns using Rich's Roll Dough. The package has little balls of dough in it. You prepare it the night before, and put it in a cold oven until morning and then you bake it. It is made in a bundt pan. They come out really good. Unfortunately, I lost the recipe. Does anyone have a recipe like this? Thanks. 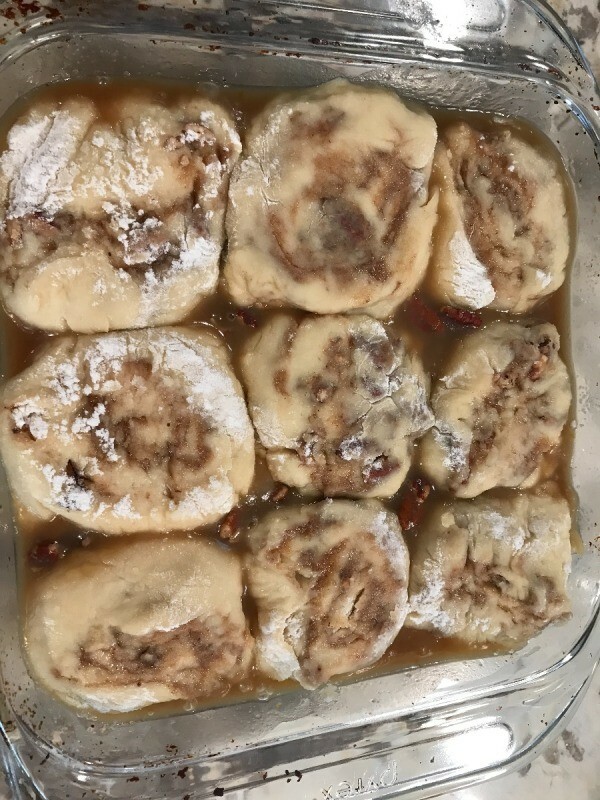 You can find a recipe for sticky buns on thriftyfun and almost every recipe site. Find one you like then substitute Pillsbury's soft breadsticks. Cut them into chunks and put in a bundt pan. Or separate the sticks but don't unroll them and put them in a cake pan. Works either way and is very good. I would go to Rich's website. I bet they'll be able to get your their recipe. 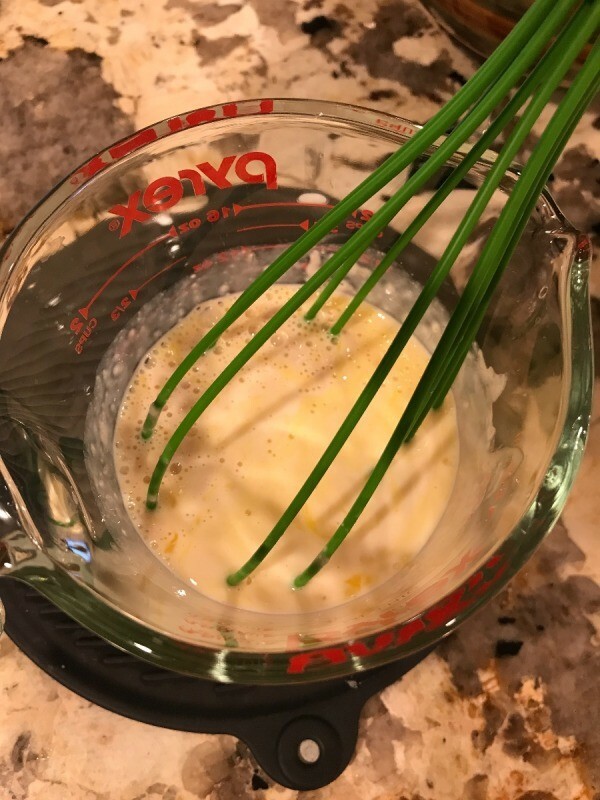 If it's not too complicated a recipe, would you mind posting it if you do find it? Hi! I have this recipe. Pour butterscotch pudding over buttered rolls. Sprinkle brown sugar over that. Cover and set overnight. In the morning cook in 350 F oven for 20 minutes. Enjoy! Place frozen rolls in a well greased Bundt pan. Combine brown sugar, pudding, cinnamon, raisins, and nuts. Sprinkle over rolls. Pour butter on top. Cover with a damp cloth and leave overnight or at least 4 hours or until doubled. Bake 20-30 minutes at 350°F. Check at 20 minutes. If over browning, cover top with foil. Remove from oven and turn rolls over onto plate. 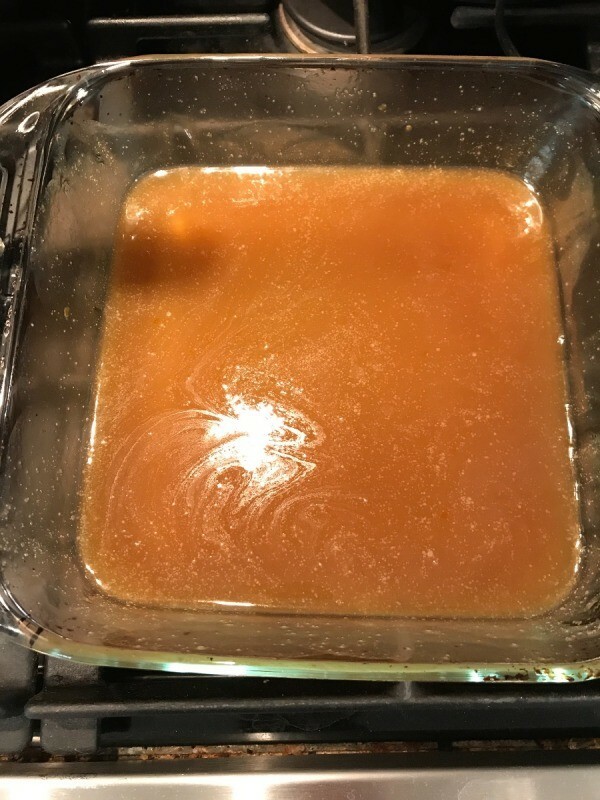 Substitute part of brown sugar with honey. Soak raisins in water to soften, blot off before combining with sugar/cinnamon mix. Original recipe calls for 1/2 cup butter but that seemed too much. Reheat in microwave for about 10-15 seconds. I also came across a recipe that suggested rolling the rolls in butter and then the sugar mixture and place in the pan. Pour any leftover sugar mixture and butter on top. That sounds like it may work better but I haven't had a chance to try that. You could probably use your dough with this recipe's sauce. butter and salt; stir until melted. Let cool until lukewarm. 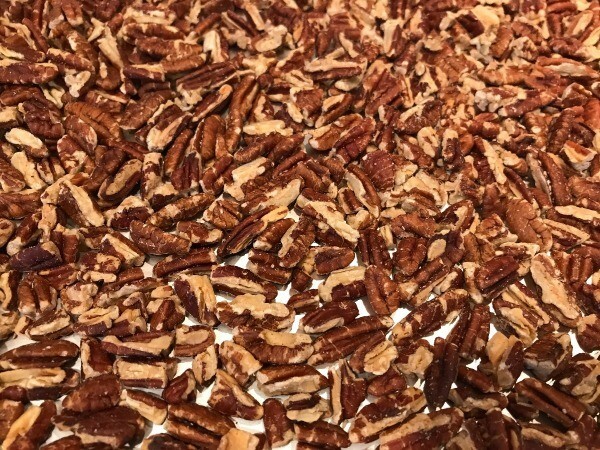 cup pecans, and cinnamon; set aside. volume. Meanwhile, preheat oven to 375 degrees F (190 degrees C). filling from the pan onto the rolls. 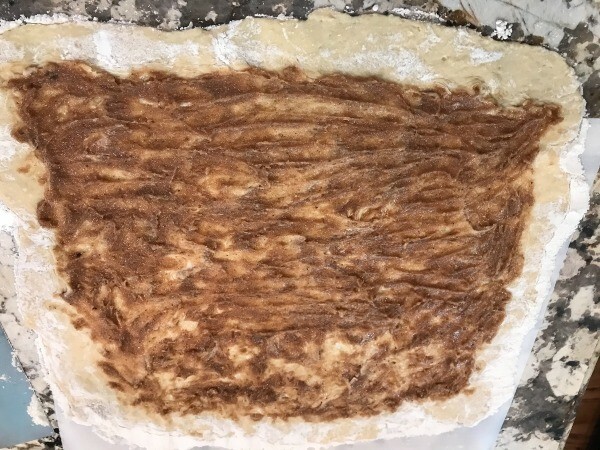 My recipe is called Hungarian Ring, however, after mixing up the dough and when finished with the rising, grease a ring mold or an angel food tube pan. 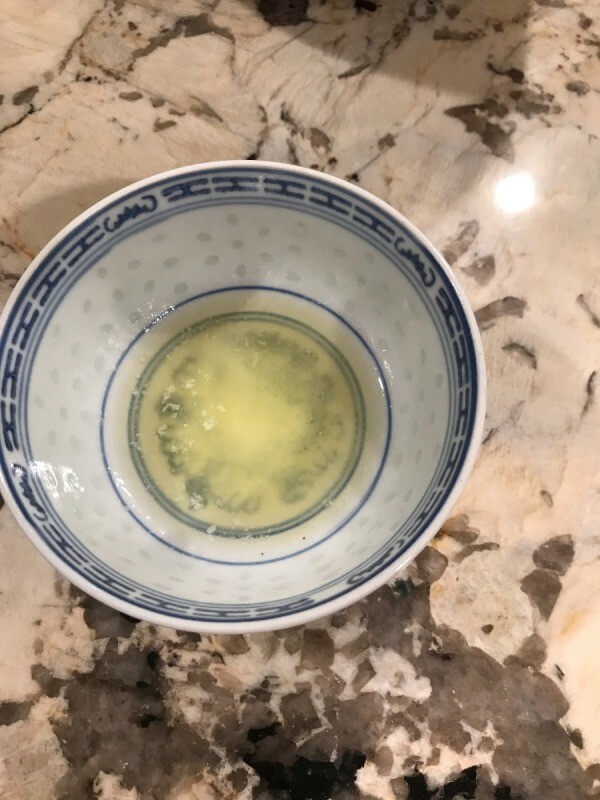 Prepare a bowl of melted butter, about l/2 cup. Mix together 3/4 C. sugar and 2 ts.cinnamon. 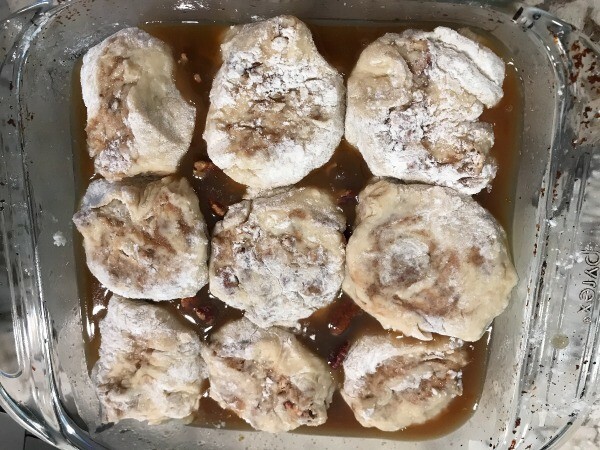 Pinch off small balls of dough about the size of a walnut and dip in the melted butter then in the cinnamon-sugar mixture putting into tube pan in layers. let rise until light but not quite double in bulk. Bake about 375* for about 20 min or until nicely browned. turn upside down onto a large plate. I sometime double the butter/cinnamon/sugar as I like lots of sticky. Enjoy! Spray bundt pan with non stick cooking spray, put rolls back to back in bundt pan sprinkle pudding mix over rolls,sprinkle brown sugar over pudding then sprinkle cinnamon over brown sugar then pour warm melted butter on top cover with plastic wrap let sit overnight and bake in 350 degree oven for 15 -20 min then invert onto large plate. Grease a tube pan. Shake the rolls in a plastic bag with the white sugar and cinnamon. Cover bottom of pan with nuts and raisins. Layer the dough balls on top of the raisins and nuts. Sprinkle the brown sugar and pudding over the dough balls. Drizzle the 1/4 lb of butter over all. Cover and let rise overnight. Bake at 350 for 20-25 minutes or until golden brown. Let stand in pan 3 minutes before inverting onto plate. Enjoy! 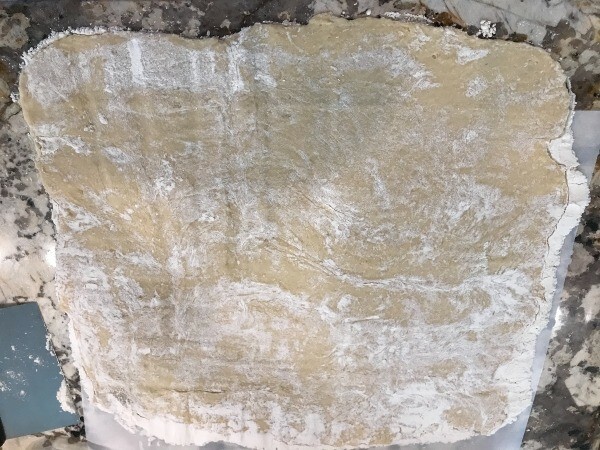 Since I asked the original question, thought I'd share this recipie that came directly from Rich's Bread Dough. ENJOY! Recipe says to thaw dough, but I leave frozen. Distribute nuts and raisins evenlY in the bottom of a greased bundt pan. Place rolls on top of nuts. Sprinkle with pudding mix. Combine melted margarine & brown sugar (+ cinnamon optional). 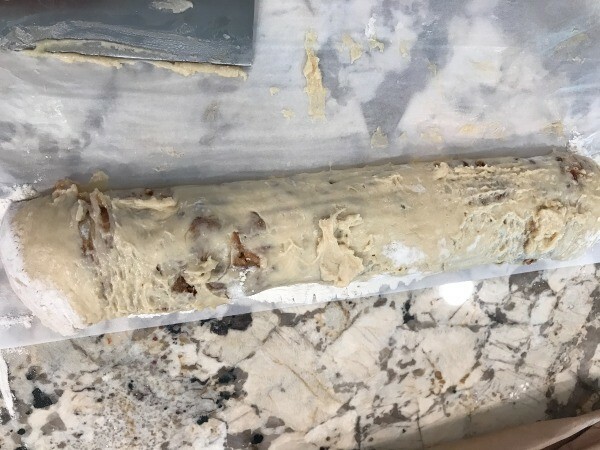 Pour mixture over dough and cover with plastic wrap or a towel. Let dough rise until double in size. Bake in preheated 375degree F. oven for 25-30 minutes. Immediately after baking, turn upside down on serving dish and cool on wire rack. My grandmother would make a plate of stickies for me in the late 60s. They were not the soft sticky buns but a buttery, sweet somewhat hard, crunchier treat. 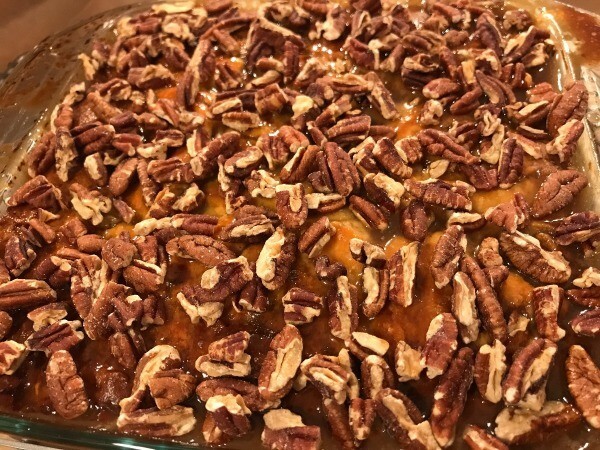 I can not find that recipe anywhere, I would be most grateful for anyone's help.